Welcome to the Cobblestone Inn & Suites in Steele, North Dakota. 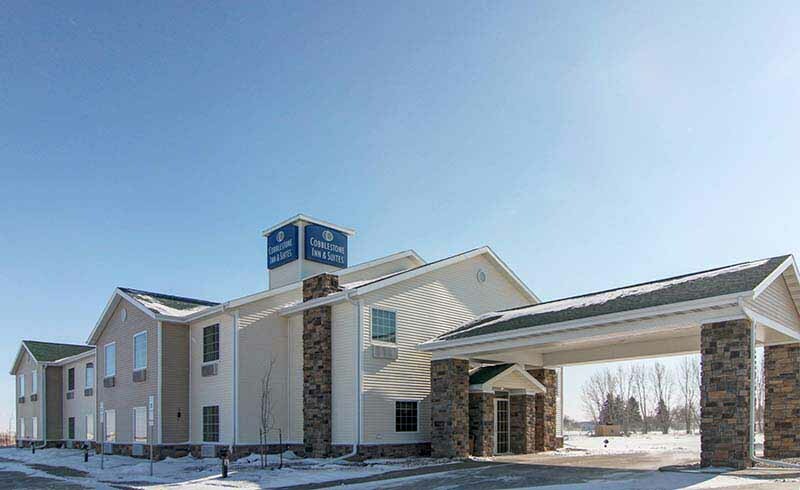 Our beautiful hotel is conveniently located near everything that Steele, North Dakota has to offer including the World’s Largest Sandhill Crane and KC Community Health Center. Our hotel provides easy access for traveling to and from Highways 10 and 3. Located off of Interstate 94, our hotel is within 45 miles of Bismarck, North Dakota. In town for business? The Cobblestone Inn & Suites of Steele, North Dakota offers easy access to BEK Communications, Zimmerman’s Manufacturing, and much more! If you are in town for some fun? Check out the Cottonwood Golf Club, Slade National Wildlife Refuge, and more.